The first impression your home makes on most guests occurs at the entryway. 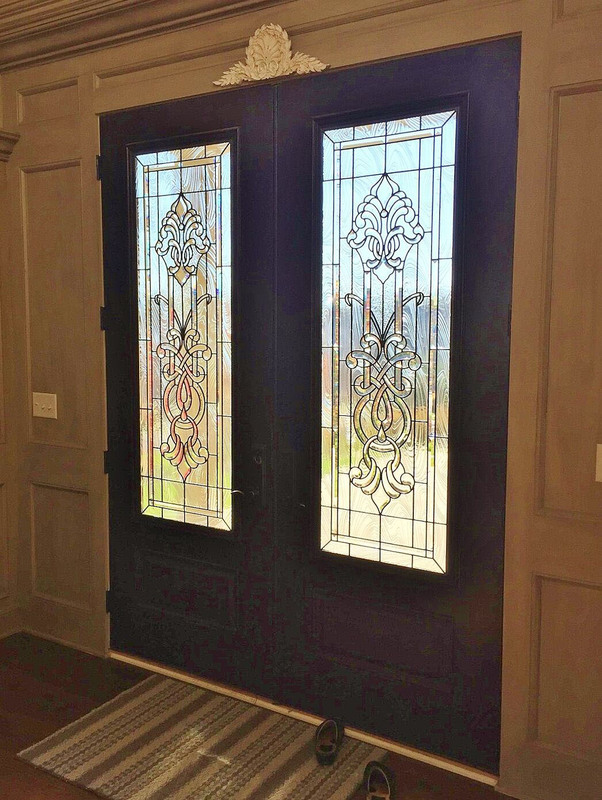 If you are considering a new entryway system or any glass in your entryway doors, Stained Glass Dallas offers an excellent opportunity to make a lasting first impression. 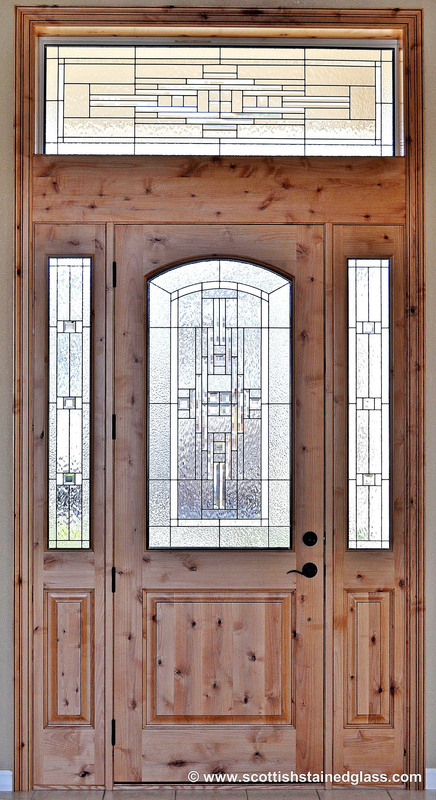 Our custom stained glass can be added to doors, transoms and sidelights at the entryway or throughout the home. 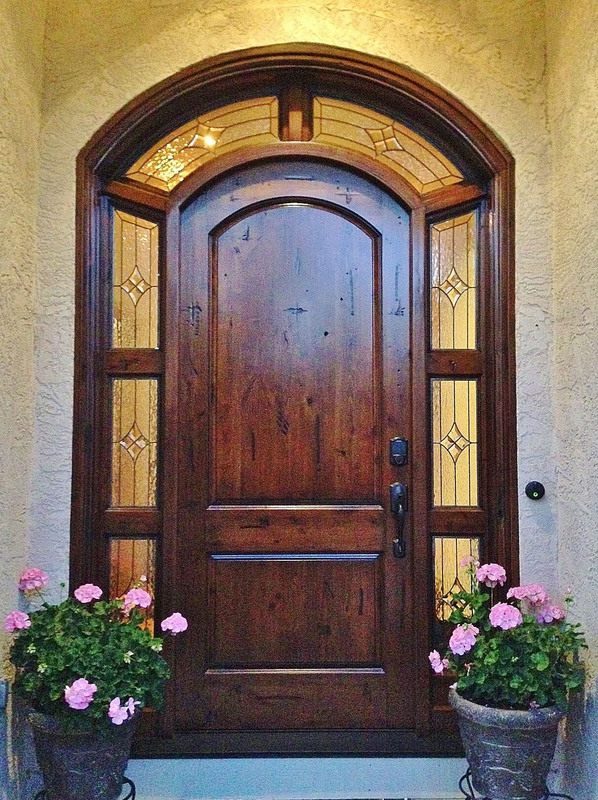 Because so many Dallas homes throughout the metro area share similar entryway systems, stained glass is a great way to set yourself apart while simultaneously adding privacy and elegance to your home. Often doors and sidelight windows are covered with blinds or drapes to ensure privacy, but these solutions block natural light from streaming into your home. Adding stained glass to these windows solves that problem while adding your homes unique beauty and increasing your resale value. 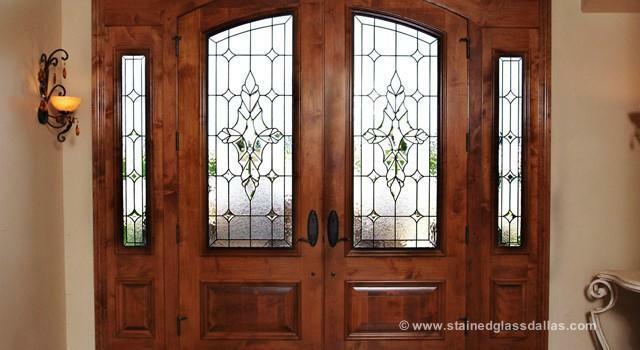 The privacy added by stained glass doors is a functional and aesthetically creative way to shine light into your entry hall without sacrificing your home’s privacy and your family’s safety. With thousands of different glass styles to choose from, our stained and leaded glass textures can provide you with just the perfect amount of privacy. 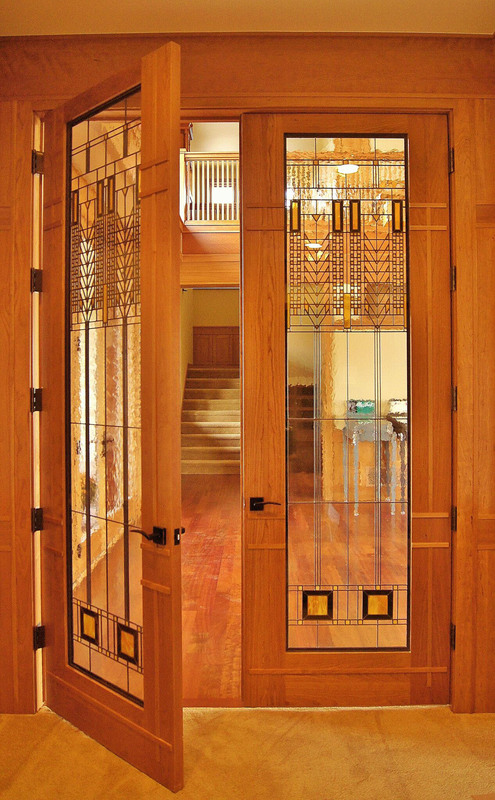 Stained glass can also be used on interior doors as well. They make a great compliment to dining room doors that complete the look of your formal dining room or they can enhance the privacy of your home office, game room, or even TV room. Whatever your home’s style and your individual design sense, Scottish Stained Glass designers will come to your home in Dallas, Ft. Worth or any of the surrounding cities or suburbs and craft personalized solutions to fit your project goals. Whether you are looking for a contemporary design using leaded and beveled glass, or your are looking to match the Prairie or Art Nouveau styles of the older Dallas neighborhoods our designs will be the perfect fit. Call or email us today to schedule your free in home consultation. We want to opportunity to earn your business. For pricing questions simply fill in the contact form at the bottom of this page and we will be in touch with you shortly.